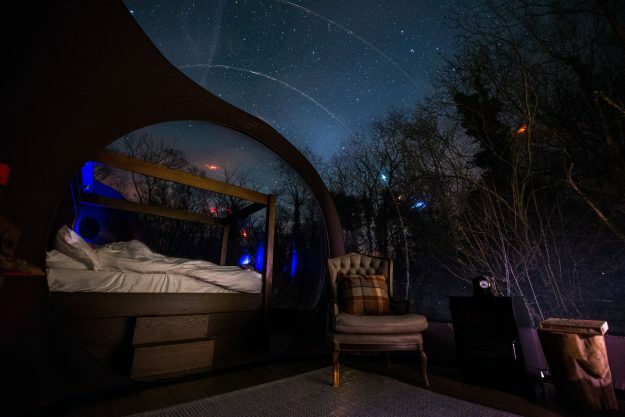 The domes, sleeping two, have 180-degree transparent walls, perfect for stargazing and providing an amazing view of surrounding woodlands and nature. This is the perfect romantic getaway and digital detox – as the domes have no Wi-Fi or mobile service! 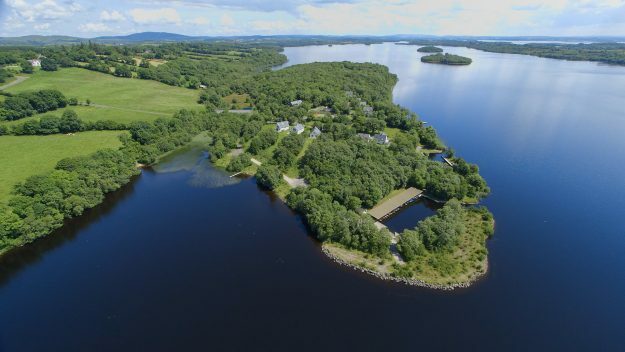 The seven bubbles offer guests the comfort and class of a hotel suite, whilst allowing them to take in stunning views as they sleep beneath the stars beside Lough Erne. 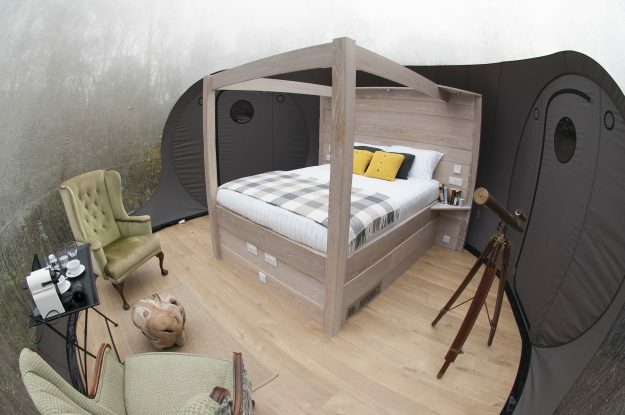 Kept inflated with an air pressure system, and features underfloor heating, a four-poster bed, Nespresso coffee machine, and an ensuite bathroom away from prying eyes in a smaller annexe bubble, the domes also feature a telescope, fluffy robes, slippers and daily breakfast. The estate has been family owned since 1982. Brother and sister duo, Michael and Gillian Beare, run the resort after coming to the family business in 2002. Michael told Lonely Planet News “Our parents bought it (the estate) when it was no more than a forest between an army checkpoint and a destroyed bridge. Since then, they have constructed Nordic-style chalets all around the lake”. When Michael and Gillian came to the business, they undertook a full-scale renovation and re-branding of the resort as a ‘back to nature’ retreat offering modern interiors set in unspoiled woodland.